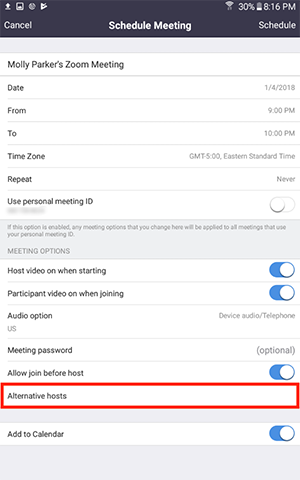 The alternative host option allows you to schedule meetings and designate another Pro user on the same account to start the meeting or webinar if you are unable to. 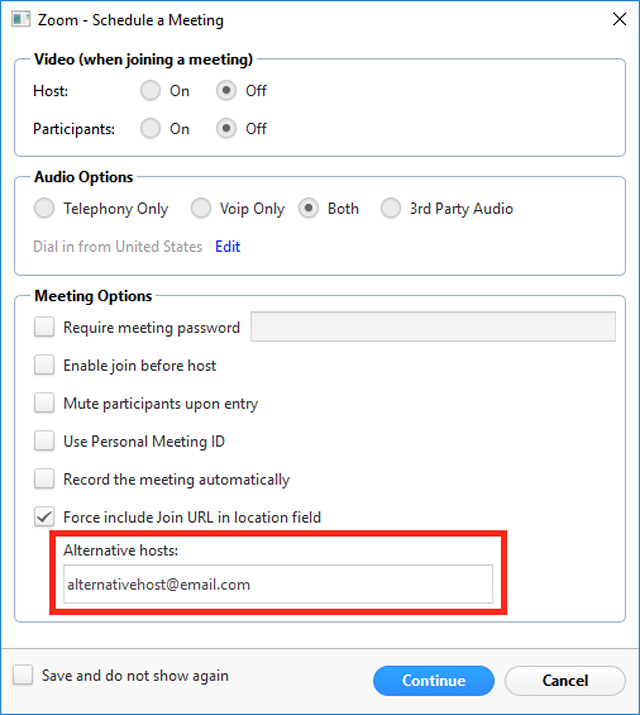 This user will receive an email notifying them that they've been added as an alternative host, with a link to start the meeting. 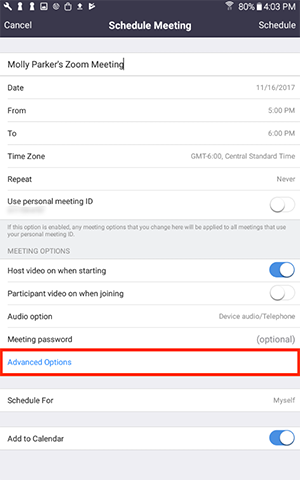 You can also give another Pro user scheduling privilege, which will make them an alternative host for all of your meetings and webinars and allow them to schedule meetings for you. 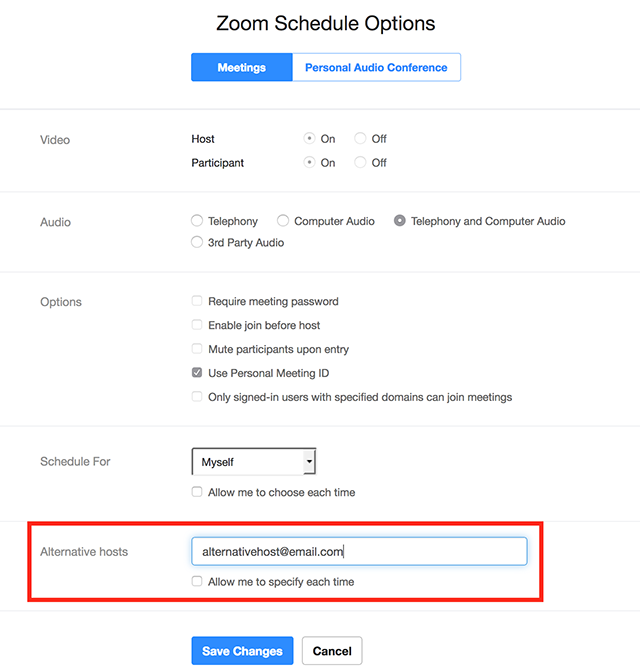 If both users have a webinar license, they can also schedule webinars for you. Read more about Scheduling Privilege. Open your Zoom client and sign in. Click on the Schedule icon. This will open the scheduler window. In the Alternative Host field, enter the alternative name to search through users. You can also enter the alternative host's email address if their name doesn't come up. Click Schedule to finish, and open up the calendar you have selected. The alternative host will now receive an email letting them know that they have been added as an alternative host. 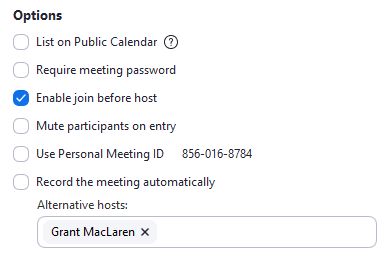 Sign into the Zoom web portal at My Meetings, and select Schedule A Meeting. In the Alternative Host field, enter the alternative host's email address. Log into the Zoom application. 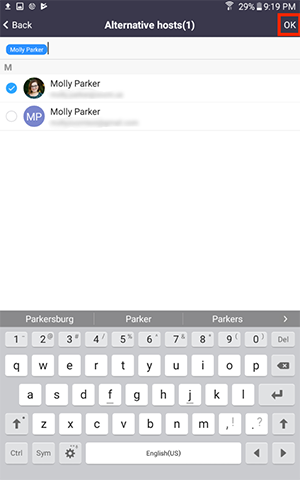 Tap the user(s) you would like to add as alternative hosts from the list or enter their email addresses. Tap Schedule to finish scheduling. 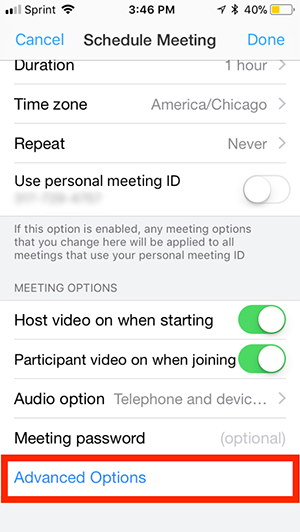 Log into the Zoom app on your iOS device. Tap Done to finish scheduling. 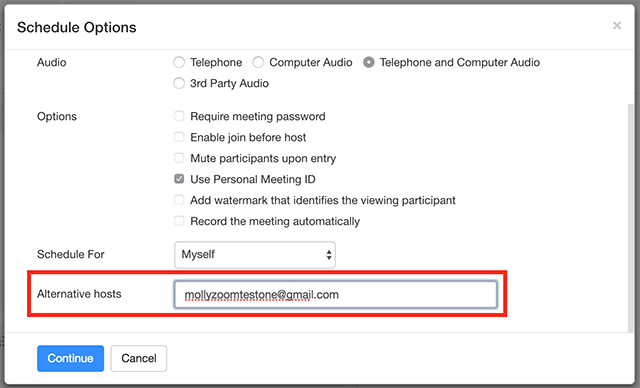 In the Scheduling Options, enter the alternative host's email address in the Alternative hosts field. 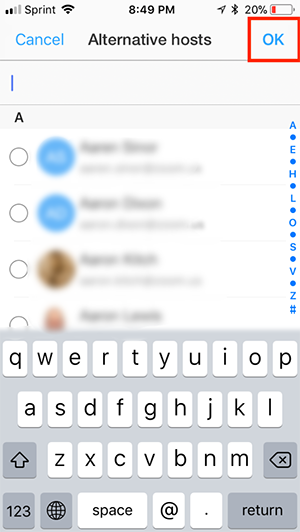 Enter the alternative host's email address in the Alternative hosts field. 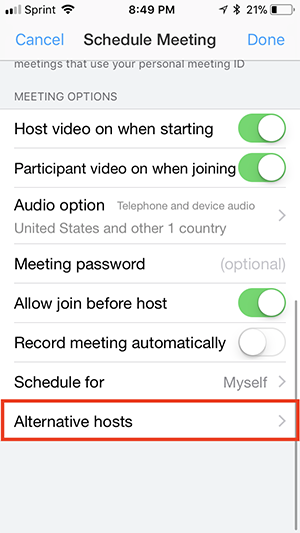 Optional: Check Allow me to specify each time if you always want to be prompted to enter in Alternative Hosts.